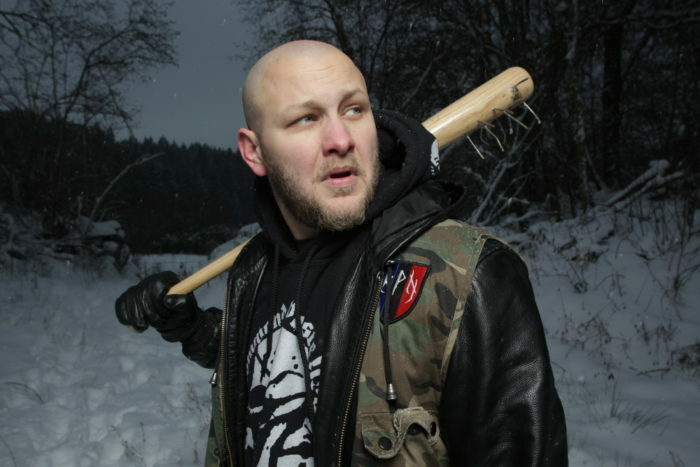 Social justice warrior pseudo-metal festival Blastfest has been canceled. 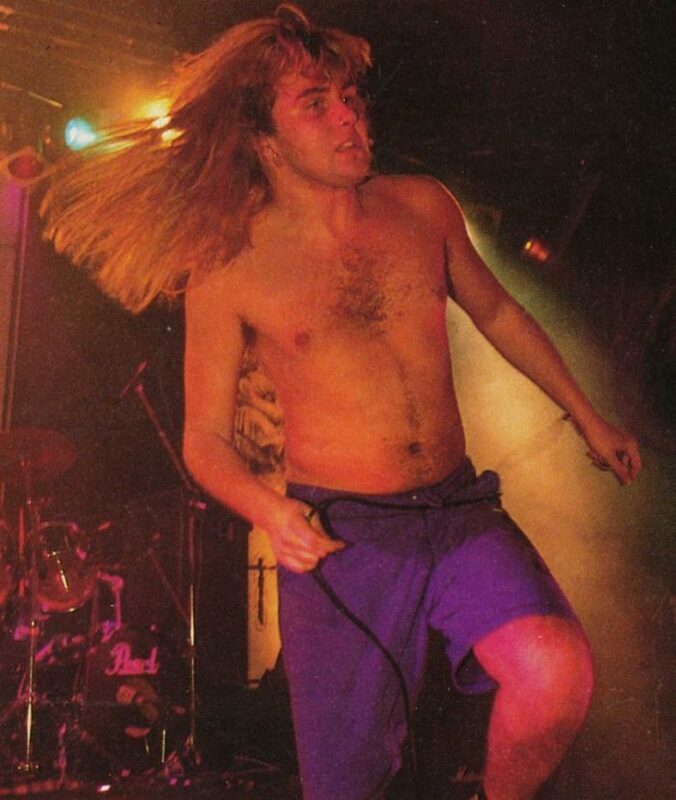 Blastfest earlier pulled bands at the bequest of overweight communist and former Andre Agassi cosplayer Mark “Barney” Greenway, the least talented member of Napalm Death. Hopefully everyone foolish enough to buy tickets can charge them back. 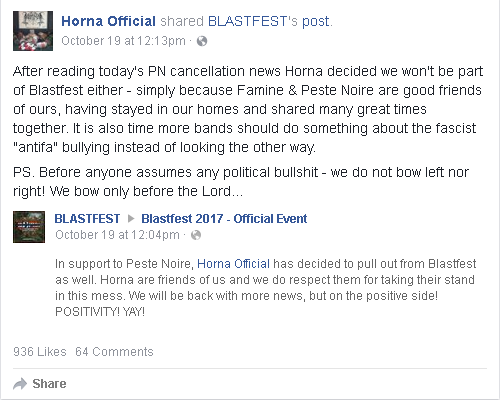 French modern black metal band Peste Noire was booted from the Blastfest 2017 festival to be held in Bergen, Norway next February after anonymous Antifa complaints. 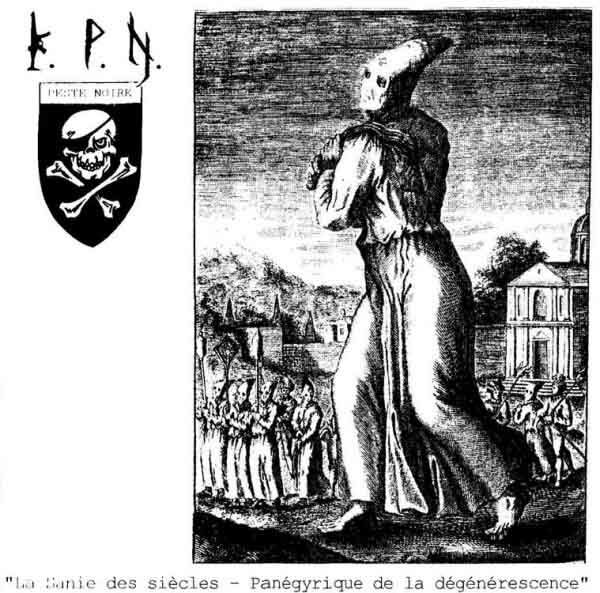 Grindcore band Napalm Death have pulled out of Blastfest 2016 presumably due to the booking of the politically-incorrect to Barney Greenway’s white liberal socialist worldview black metal band Peste Noire. The Norwegian festival’s organizers should be commended for not catering to the socialist reactionaries by canning the less-mainstream artist. Napalm Death have once again proved themselves irrelevant since the Eighties. As we see many have been speculating about on our page, you were right. Napalm Death has decided to cancel their show at Blastfest next year. We are about the music here, and we welcome everyone with pure intentions to come and have fun in Bergen, but we do respect NDs decision, and welcome them back for another year of course. More bands will be announced soon! In the dying days of black metal, people imitate it from the outside-in by adopting its techniques but not understanding its inner core. Peste Noire combines heavy metal and indie rock with black metal stylings and produces a demi-opus of distracted listening: if attended to with half a brain, as when watching television, socializing or working, it seems fine and hits the right spots of black metal nostalgia. When listened to intently, it reveals itself as having relatively random structure and imitation of tropes that go nowhere. The surface influence on this work that immediately comes to mind is Graveland, with a side dish of the more desolate Nords like early Gorgoroth and Immortal, but as an experienced listener of metal might guess, the closer one comes to self-pity music (depressive, doom) the lower quality of music becomes. A typical Peste Noire song begins with a black metal riff which it repeats in a cycle, ending in a chord progression reminiscent of bittersweet neurotically happy and sad at the same time indie rock, then drops into heavy metal tropes like the chaotic solo extending into a lead rhythm guide to a bounding riff. Initial aspects of this album appear favorable: instrumental prowess, deliberate production, a study of black metal. At its heart it is disunified first by lack of purpose except egotistic lamentation, and second by a refusal to structure songs around anything but a visual perspective that hides itself by constant interruption (sort of like the “disruptive” trend in business). What remains, after the listener filters through appearance and randomness, could not fill the teacup of a black metal fan.